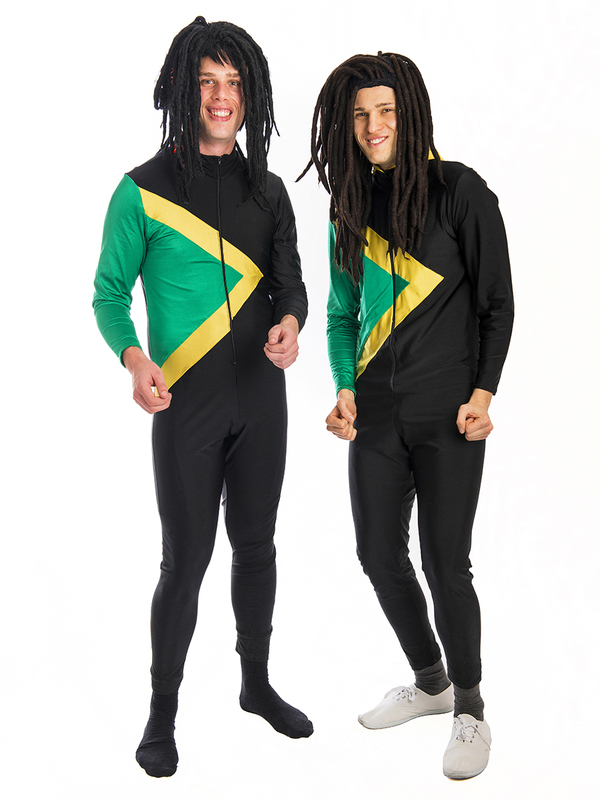 Funny Jamaican bobsled costumes as seen in the popular 90’s film Cool Runnings. Great for a Winter sports or Olympic party. Costumes consist of black unitard with green and gold stripes and dreadlocks wig.